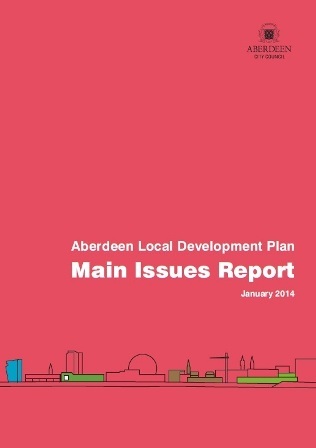 Aberdeen City Councilâ€™s Main Issues Report was published for consultation earlier this week. This is a key element of consultation on the forthcoming Local Development Plan. The document identifies 13 Main Issues on a variety of important topics and the consultation seeks views on changes that may be required to the Local Development Plan adopted by Aberdeen City Council in 2012. 8 public events are taking place at different locations throughout the City, these will provide an opportunity for communities to get more information and discuss the main issues. Consultation closes on 24 March 2014, with more information, supplementary reports and details of the public events available on Aberdeen City Councilâ€™s website. Both Aberdeen City and Aberdeenshireâ€™s Local Development Plans are fundamental in the delivery of the Strategic Development Plan.